Home / event catering / Pick yourself up off the floor! This style shoot location was at a new venue called The Farmhouse in Montgomery Texas. It showcases a bit more modern feel and features trends we are seeing for 2017 with fabulous color combinations in flours and decor. 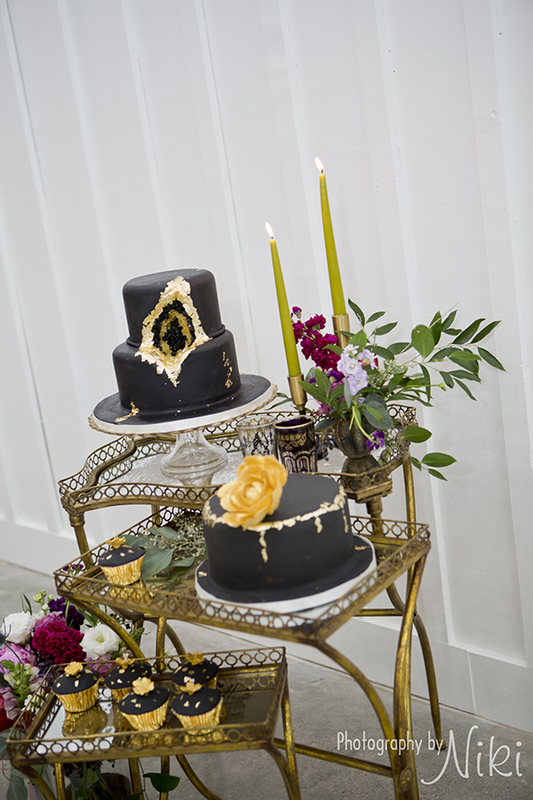 The cake features a geode style design with fondant and gold leaf detailing. 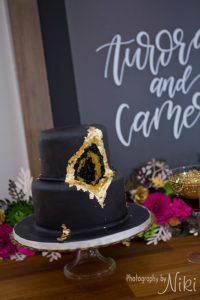 Geodes can be done in a variety of colors and styles to match your wedding and really show an eye for the unusual but also contemporary classic without going outside the boundaries of wedding cake styles. 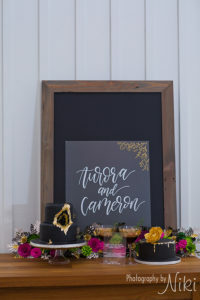 Wedding cupcakes are still hugely popular to compliment a smaller cake to cut or used as a stand a lone in a variety of flavors for everyone to enjoy. Consider flavor and color when you choosing your wedding cupcakes to match your wedding or special event. The cupcake tops can be styled using different and unique designs to add texture and dimension. At the end of the day, you can have your cake and cupcakes too!